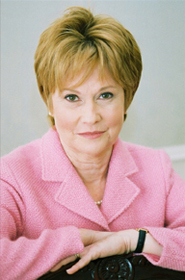 Not all too long ago, Miss Meredith Sweetpea had the honor of meeting in person Miss Elizabeth Knight, author of books like Tea with Friends. Miss Elizabeth was a charming woman, and shared her passion for tea and tea parties with our group. What’s nice about Tea With Friends, is that it takes the reader month by month through a year of ideas o how to have tea with friends. Following is an excerpt from that book that would be perfect for a Fall tea party. Warm tea, crackling fire, and good company. What could be better. 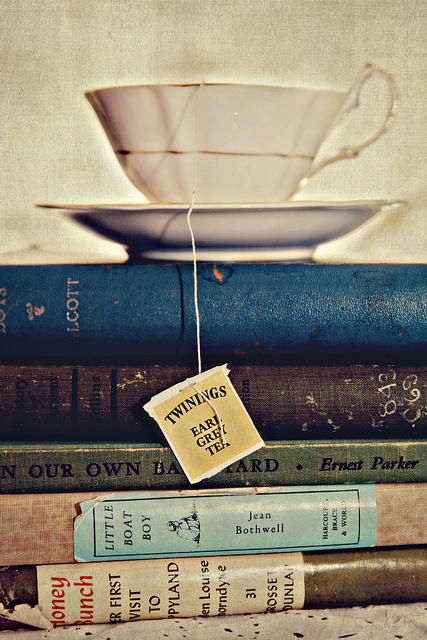 A living room, book-lined study, or library with comfortable seating is the idea setting for your literary tea. 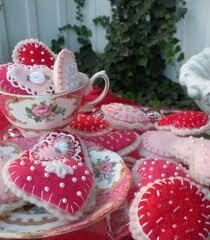 Here are some ideas to throw a Valentine tea party yourself. Heart-shaped invitations are, of course, the way to go. Craft your own background and print out the details and attach them to your fancy heart. Using a pink tablecloth with white plates and napkins, or vice versa sets a beautiful visual tone for your table. Sprinkle glittery hearts all over the table for a festive look. Decorate with pink and white balloons. Create heart mobiles as a party craft and use them to decorate your party area. 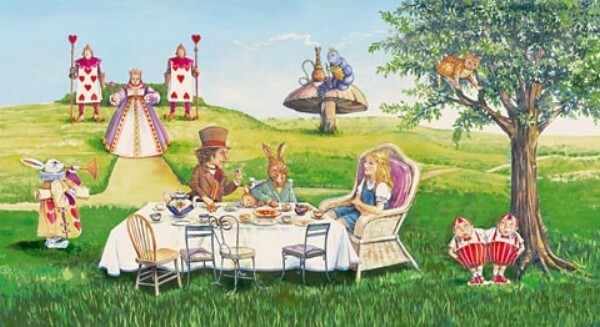 Since we are so close to Halloween, wouldn’t it be fun to hold a dress-up Alice in Wonderland–or Mad Hatter–tea party for adults or children. Meredith Sweetpea just adores a good themed tea party! You can address them from the Queen herself, the White Hare, or Alice. What girl wouldn’t enjoy being a princess on her special day! 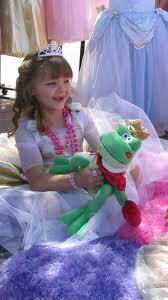 Why not make that dream come true by holding a princess tea party for your little girl and her friends? Dress up the birthday girl and all her girlfriends in fancy dresses and crowns…the more pink the better! Dress up the table with a pink tablecloth, napkins, and centerpiece. 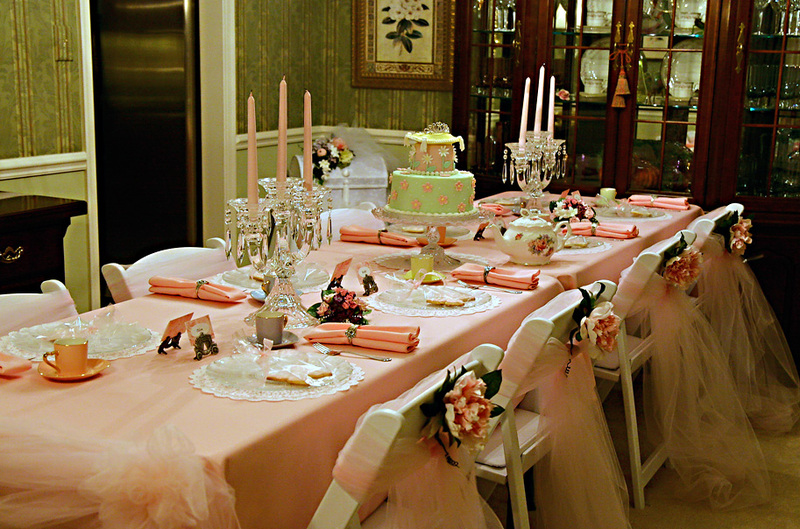 Wrap the back of each chair with pink tulle ribbon and make a large bow on the outside back of each chair. Give each girl a magic wand and hold a treasure hunt for beautiful jewels, necklaces, bracelets, rings, and other magical trinkets. The girls can use these items to add to their dress up. Read or create a princess story and have each attendee act out a role in the story. Of course, the birthday girl gets to be the princess. Stories about princesses can be fun! Hold a jewel hunt. Hide oversize plastic jewels around the house and let your guests search for them. Give each girl a jewel or treasure chest to keep her crown jewels in. Practice royal manners…learn how to curtsey and how to drink tea without raising the pinky finger! Pretend you’re having a meeting with the Queen and learn what the royals know about princess-ly behavior. 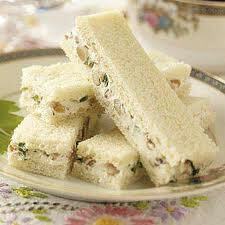 Offer up a royal feast with fancy sandwiches, and petit fours or small cakes. 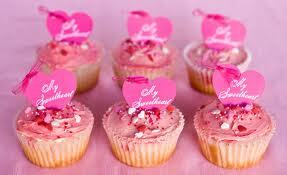 Make pink-iced cupcakes and top each with a sugar crown. Put a large marshmallow on a skewer and dip the end into pink frosting. “Plant” each skewer into a flowerpot for a cute and edible centerpiece. Serve pink lemonade served in tea cups. It’s fun being a princess for a day! 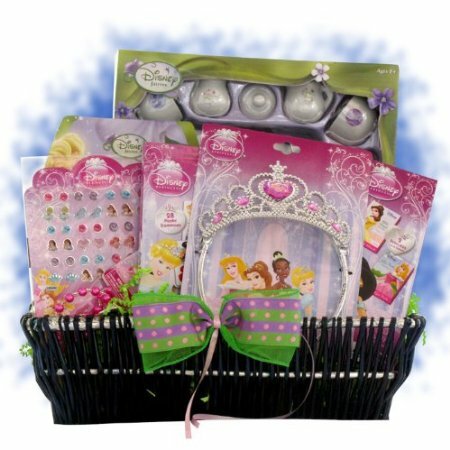 Order this Princess Tea Party Favors Basket! 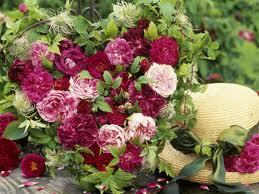 Nothing beats the pleasures of June and the abundance of roses with their wonderful scents and colors. Meredith Sweetpea thinks it’s a fine time to have a dress up tea party in the rose garden! Using a red and white color theme, set up a table and cover it with a white tablecloth. Decorate the table with freshly-cut red and/or white rose flowers in silver, cut glass or decorative vases. Scatter rose petals across the cloth for an added floral element. Add white and/or red linen napkins. 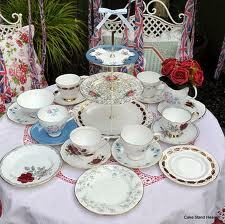 Use your rose-patterned china, or find a set of rosy red clear glass plates. They look striking against the white tablecloth. Floral pillows add comfort and color. Instead of hot tea, serve iced raspberry tea and/or freshly-squeezed lemonade in cut glass crystal. Pull out your punch bowl for extra fun. Finger sandwiches filled with chicken salad, thinly sliced salmon with cream cheese, or cucumbers with cream cheese and dill make a striking presentation. Decorate around the base of a white-iced lemon layer cake with thin slices of one lemon. Slit each slice halfway on one side and twist it to give a 3-D presentation. Space them evenly around the base of the cake. Add a strawberry or raspberry to the middle of each lemon slice and garnish the edges of each lemon slice with two sprigs of mint to look like leaves. 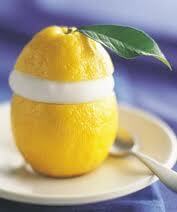 Cut lemons in half, hollow them out, and fill them with lemon sorbet. Place in freezer until ready to serve. Garnish with lemon twists, raspberries or sliced strawberries, or mint leaves. Ask your guests to wear either red or white, to match the theme. And of course, since this an outdoor garden party, your guests should wear hats! As a craft, you can decorate straw garden hats with red roses and white ribbons and wear the hats for tea. Set up the croquet game around the yard and enjoy a wonderful afternoon in the garden.